Agility 101 is available for spectators to give agility a try. 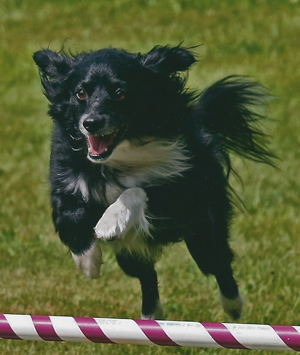 Under the supervision of expert trainers, you and your dog will be guided through some basic agility obstacles, and learn how fun the sport can be. 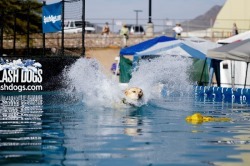 Most dogs love water, especially if they can jump or launch into it! Dock Jumping is a competitive sport and it can also be done for fun. Come watch dogs make a big splash as they run down the pier and leap as far as they can into the water. You and your dog are welcome to give it a try. You can help support the 2019 IFCS Team and fine-tune your teamwork at Cynosport®. 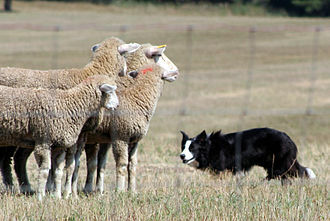 The IFCS Team members will be hosting a practice ring Wednesday through Sunday for competitors. The ring will open at 7am and will remain open until 5pm (or later) as long as there is light, the rings are staffed and people are waiting. When possible, preference for early morning slots will be given to those who run first thing. All contributions to this activity are tax deductible and will be contributed to United States Association of Cynological Sports (USACS), a nonprofit corporation supporting amateur sport. Proceeds will be used to help cover travel expenses for the team to participate in future IFCS events. Hours: Wednesday-Sunday. Please visit the IFCS Schooling Ring page for complete details.